Lately I have been into Medieval-ancient stuff, and here I present you with my Simon of Montfort army, for the Barons War. 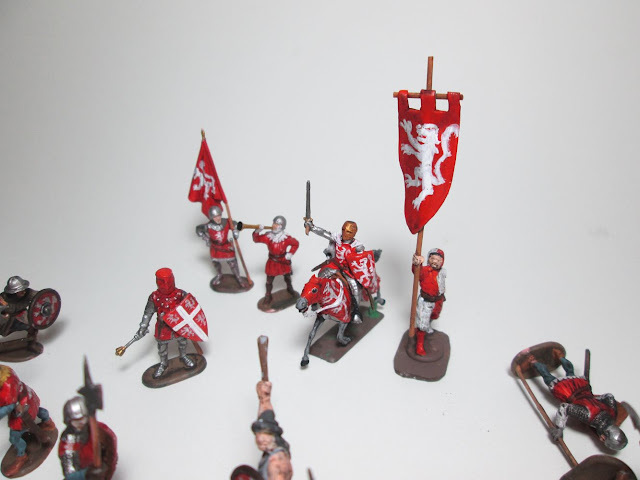 I interpreted that they needed to be identifiable if they had to battle against the king of England, so I've left clear in all of them the coat of arms of Monfort. 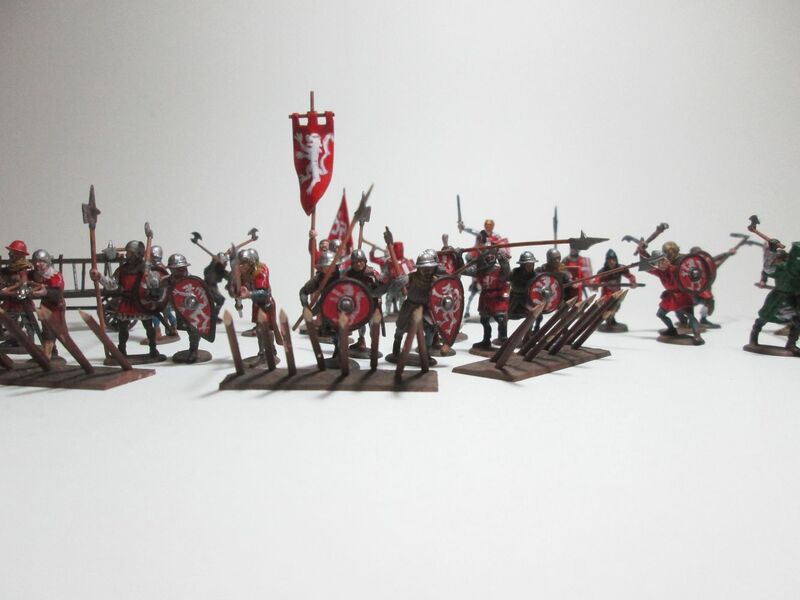 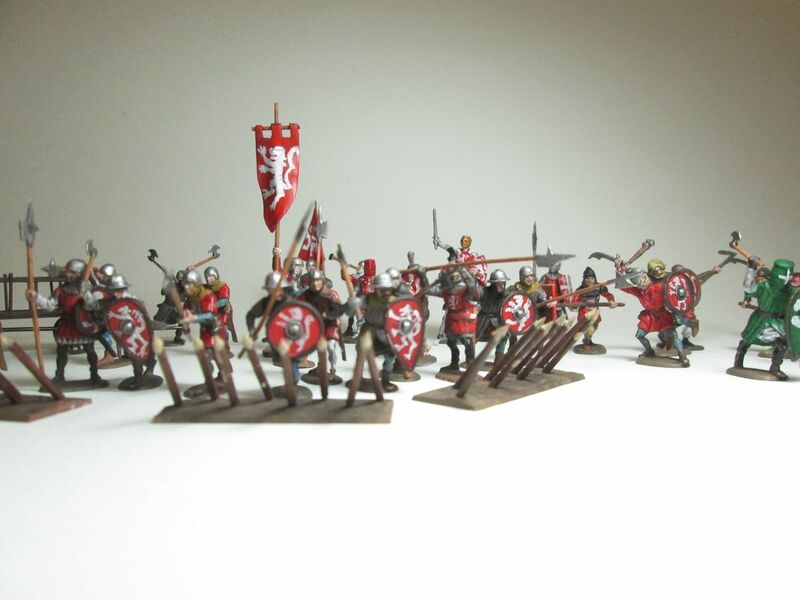 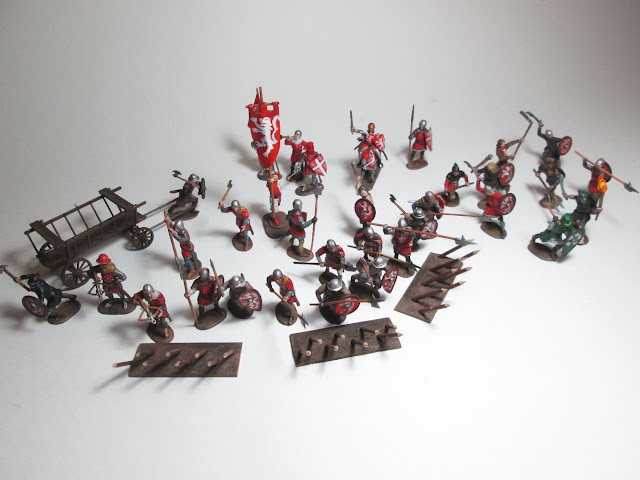 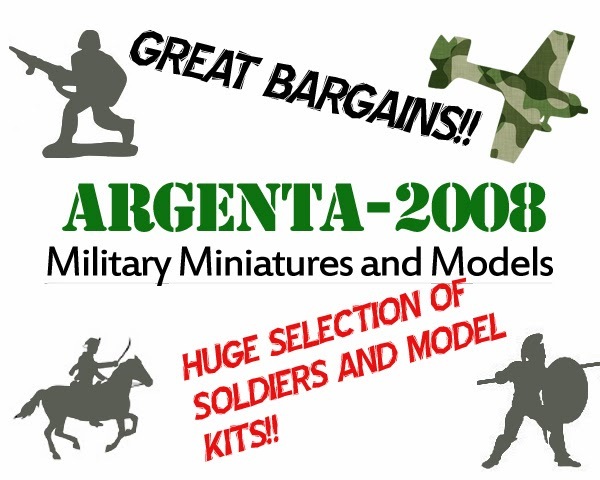 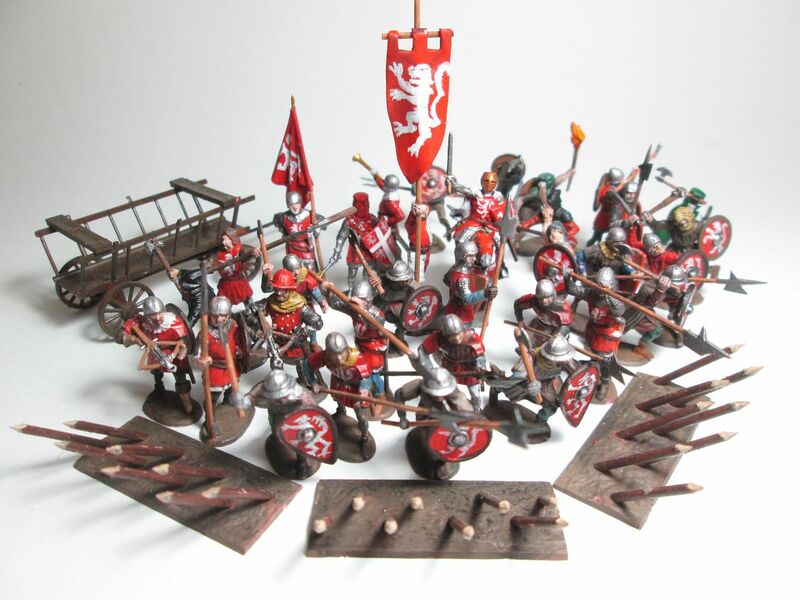 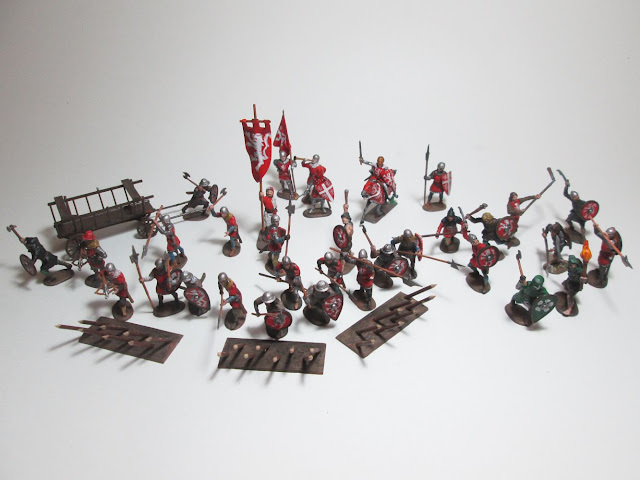 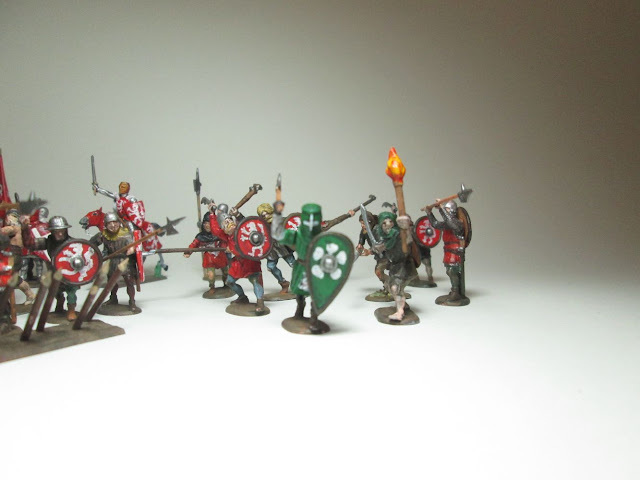 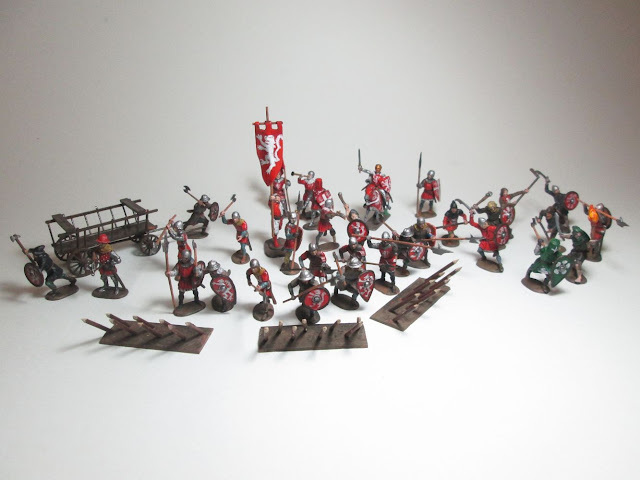 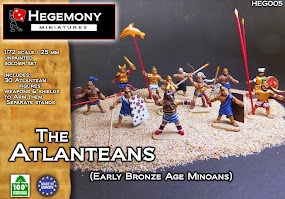 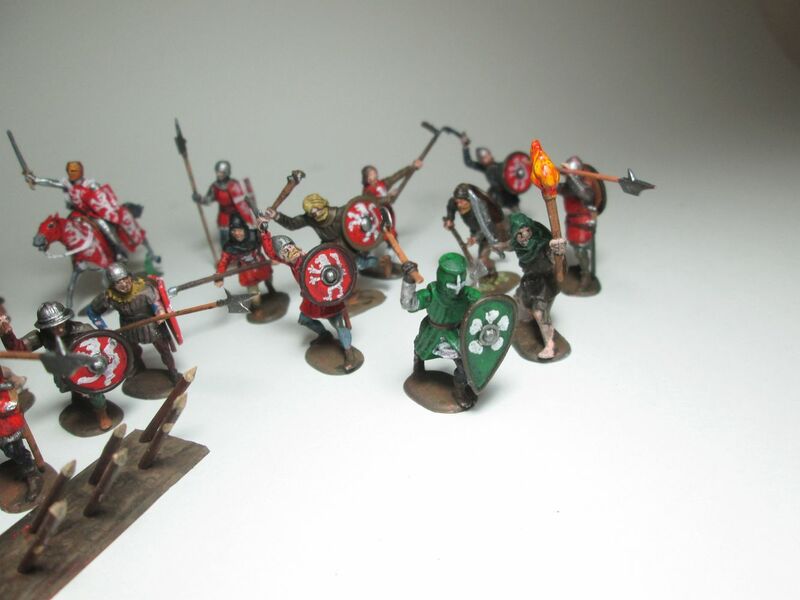 There is a few conversions here and there, and I've mainly used the Zvezda English Medieval soldiers and Medieval peasants revolt.